Holy Cross School fosters spiritual growth, academic values and social responsibility in a caring, Catholic community. 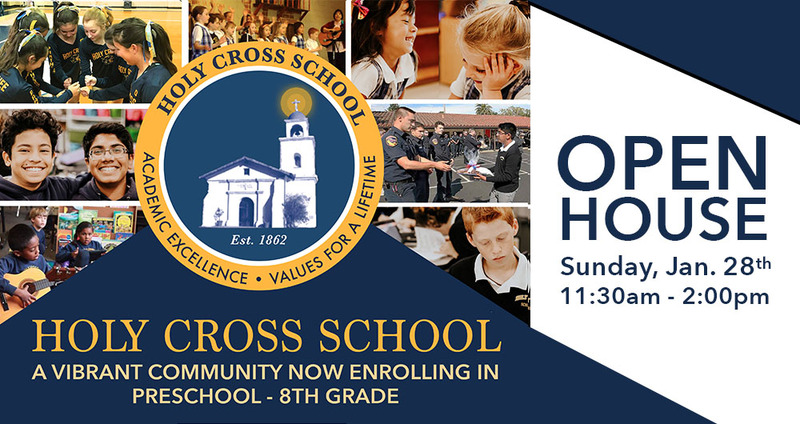 Holy Cross School is a nurturing, Christ centered community that offers a comprehensive curriculum that is aligned with the nationally recognized Common Core standards. We pride ourselves in providing a challenging and rigorous academic program for our students. "Students, families, faculty and staff honored first responders of Santa Cruz County at the 15th annual Cookies for Courage ceremony on September 9th. Santa Cruz Police Chief Kevin Vogel expressed his appreciation to the Holy Cross community for bringing together and honoring so many of the agencies, and Scott's Valley Police Chief John Weiss commented, 'We appreciate that you, your staff and students remember 9/11 and the loss and sacrifices our nation suffered.'"